If you’re looking for a difference between customer care, customer services and customers support please stop. There is no difference between them, because they all mean one thing - a dedicated approach and establishing relationships between our call centre professionals and your customers, as we will make sure that they are properly served. Nowadays, more and more companies realize that to offer high quality customer support is indeed something that can’t be overlooked and it should be paid additional attention too. Your business can’t survive if you don’t have the source of strength of your clients to support you in order to compete. So paying attention to your clients mabe lays at the beginning of success for you. Let us assure you that is is worth the additional effort - this increases repeated sales, creates loyal customers which only makes your business stronger. Trusting the right call centre support office can be very much in hand for you, because especially if you’re expanding your company, you can’t build up that strong connection with your clients. Thus, it doesn’t matter how much money and effort you put into building your company’s name, it can be ruined just with a single non-professional customer care call a day. You don’t want this for your business and we don’t want this for you as well. 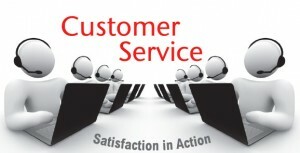 Why our Call Centre Customer Care UK is the right choice? We offer you our help in connecting with your customers - we can build relationships handled by our call centre professionals, ensuring you with high quality standards, meeting Key Performance Indicators and mainly making your clients happy and satisfied by someone that actually cares and wants to solve their problems. For additional services, please contact us and we can discuss your personal needs.